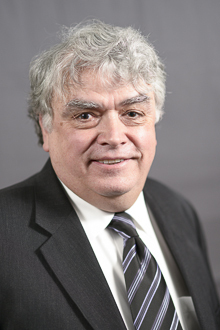 WILLIAM M. LECRONE | Charysh & Schroeder, LTD.
William M. LeCrone received his Juris Doctor degree from Oklahoma City University in Oklahoma City, Oklahoma, in 1982. He received his Bachelor of Arts degree from Southern Illinois University, in Carbondale, Illinois, in 1978. For over 33 years Mr. LeCrone has worked in the area of insurance defense litigation, both as a member of private firms as well as staff counsel for a number of major national carriers. During this time, he represented clients throughout all phases of litigation, in both state and federal courts, regarding a wide variety of property, casualty and coverage matters. Mr. LeCrone previously served as a Managing Attorney for Transamerica Insurance Company, which included the complete supervision and management of the Chicago staff counsel office. He has also previously held staff counsel positions with Cigna Insurance Company and Kemper Insurance Companies. His private experience includes employment with several Chicago based insurance defense firms. Mr. LeCrone is admitted to practice law in the State of Illinois, and before the United States District Courts for the Northern and Central Districts of Illinois. He is also a member of the Federal Trial Bar in the Northern District of Illinois.